Mr. Ayanda Myoli is the Divisional Executive of Nuclear Fuel Cycle since July 2018. He previously worked as an Engineer at Sasol from 1990 to 1993. Thereafter, he joined the Koeberg Nuclear Power Station where he was Mechanical Maintenance Manager from 1993 to 1999. From 1999 to 2002, he worked at the South African Breweries as Packaging Engineer (Executive level), before joining Necsa in 2002 as Senior Manager: Facilities Management. He was promoted to General Manager, Facilities Management position in 2003, and fulfilled several other roles at executive level. Mr. Myoli was appointed as the CEO of ARECSA Human Capital, a Joint Venture company between Necsa (South African Nuclear Energy Corporation) and AREVA (French nuclear power plant vendor) for skills development for the South African nuclear industry. In 2010, he was appointed as a Consultant to the Department of Science and Technology (DST) on Technology Localisation. He was the Chief Executive Officer of NIASA (the Nuclear Industry Association of SA) until 2013. In 2013 he was appointed as Acting Group Executive for Operations Division at Necsa. In 2014 he took on a new role as Chief Information Officer at Necsa, which is a position he has held until July 2018. He has broad experience in engineering, maintenance, manufacturing, facilities management, information technology and management at an executive level, from a variety of industry sectors, which include petrochemical, FMCG, power generation (energy) and nuclear industry. Mr. Myoli holds a B.Sc. (Mechanical Engineering) from University of Cape Town, 1989. 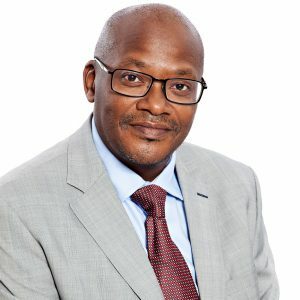 He completed a Senior Management Programme at University of Stellenbosch Business School, 1995, He holds a Diploma in Packaging Technology from Durban Institute of Technology, 2002. Also, holds a MBL from UNISA School of Business Leadership, 2006.